AN EXCITING discovery of an enormous system of ancient tracks trodden by medieval man has been made on a Purbeck heath. Trackways probably in use between the 13th and 18th centuries have come to light on the RSPB’s Stoborough Heath and they cover an area almost a mile long. Created over decades by carts, sledges or stage coaches crossing sloping country in wet weather, the churned mud is eventually washed away, creating a sunken lane, also known as a holloway. HUNDREDS of visitors saw how Roman history is being unearthed at a special open weekend in Caerleon. The Argus reported at the beginning of this month how a lost Roman city was uncovered in the Priory Field site after researchers from Cardiff University found a huge complex of buildings. Students detected walls below the ground in fields outside the fortress outlining a series of huge buildings between the amphitheatre and the River Usk, in an area experts thought was largely unoccupied during the Roman era. In a cave 12,000 years ago, a group of people settled down to a dinner that has rarely been matched: 71 tortoises that had been roasted in their shells. The discovery of the shells shows that feasting occurred 2500 years earlier than previously thought, at a critical stage in the transition from hunter-gathering to settled farming. The remains of the feast were found in Hilazon Tachtit cave in Israel by Natalie Munro of the University of Connecticut in Storrs and Leore Grosman of the Hebrew University in Jerusalem. It is a burial ground that contains the bones of 28 people. Television viewers in the United Kingdom will have the chance to watch two new history programmes that feature medieval England. The BBC will start airing a new six-part series, Churches: How to Read Them, on September 1st on BBC Four. Presented by author Richard Taylor, it will examine how imagery, symbols and architecture of English parish churches have inspired, moved and enraged people down the centuries. Churches: How to Read Them is about understanding just what we see in a British church – how the different styles of churches throughout the country reflect changing ideas of God, salvation, living and dying. Visiting some of England’s finest parish churches, Richard’s journey will be full of stories and contemporary accounts, touched with his insight, humour and sense of wonder at what he sees and interprets. The 2010 season is about to start! According to our current plan, we will investigate three areas. Two in the Central Building and one at the Venetian cheese dairy. The geomagnetic prospection carried out three years ago had revealed more rooms at the north and west side of the Ceramics Workshop complex. In a previous season this area had been re-investigated and fragments of a structure resembling a kiln were revealed. Our goal is to continue this investigation, to reveal the buried walls and possibly to determine if these structures are outbuildings to the workshop or if they had another use. The other area which will be investigated is the so-called Area 3 from the previous year, where we found the stone walls identified by the geomagnetic prospection. The purpose of the excavation at this part is to move deeper in these rooms (see Field Notes 2009: Weeks 3 & 4) and understand their use. The excavation at the cheese dairy is to investigate probable Mycenaean remains which were initially identified in 1989, when Mycenaean pottery and walls were found after the restoration of the dairy. The geomagnetic prospection in 2007 revealed rectangular structures, and as a consequence, our goal this season is to determine if these buildings were houses or had another use. The Medieval Festival at Herstmonceux Castle, which is taking place this weekend in the English county of East Sussex, is expected to draw its biggest-ever attendance this year. Last year over 30,000 visitors flocked through the gates at the three-day Festival, already the largest of its kind in Northern Europe. This year, the Festival has been enlarged and expanded and includes more performers, artists and attractions than ever before. The unique mix of entertainment and hospitality is set for a record number of visitors joining in the medieval fun. Interest in the Middle Ages seems to be stronger than ever – movies like Kingdom of Heaven and novels such as Pillars of the Earth draw millions of fans, while medieval festivals and museums featuring artifacts from the Vikings, Anglo-Saxons and other medieval societies get tens of thousands of visitors. Scholars have in recent years been examining this interest in all things medieval, and earlier this year an organization was formed to bring them together. The Society for the Public Understanding of the Middle Ages was founded this spring during the International Congress on Medieval Studies. The society aims to focus on how the general public views the Middle Ages through various media, an to interact with authors, filmakers, festival organizers, etc, who help shape the image of medieval society in the contemporary world. Dry weeks in early summer have already made 2010 a vintage year for archaeology, English Heritage said yesterday. The conditions allowed hundreds of cropmark sites – created when crops grow at a different rate over buried features – to be seen from the air. A Roman camp near Bradford Abbas, Dorset, was found after three sides appeared in parched barley fields. The lightly built defensive enclosure would have provided basic protection for Roman soldiers while on manoeuvres in the first century AD and is one of only four discovered in the south west of England, English Heritage said. SIGNS of ancient civilisations in North Yorkshire have been uncovered in amazing detail thanks to the dry early summer weather. Hundreds of cropmark sites from Neolithic long barrows to Second World War military remains have been recorded from the air by English Heritage. The sites photographed included one at Newton Kyme, near Tadcaster. Dating back nearly 2,000 years the rectangular Roman fort is known to have an earth and timber bastion, but aerial survey this summer revealed a stronger defence built in 290 AD covering seven hectares, with stone walls up to three metres thick and a ditch 15 metres wide. Archeologists have discovered a sacred spring in an ancient city in western Turkey. The head of the excavation team, Professor Ahmet Tirpan, told reporters on Friday that they had unearthed a sacred spring, providing water to the sacred fountain" in the ancient city of Stratonikeia in Yatagan town of the western province of Mugla. The archaic city of Stratonikeia was established in the 3rd century BC. The acropolis of the city is at the top of a mountain in the south. Archaeologists have found a legendary 1,200-year-old gateway to the massive wall the Vikings built to defend themselves against their rivals the Saxons, according to a Friday media report. The discovery, near the town of Schleswig in Germany's far north near the Danish border, reinforces the view that the Vikings were more than plunderers and pillagers, and that they also built and traded. "The previous field that we looked at was the core of a Medieval village,” says Keith Fitzpatrick-Matthews, reflecting with some affection on his team’s previous digs in the lucrative archaeological terrain of Letchworth. Admitting to being “one of those people who’s fortunate enough to be doing what they’d always dreamt of doing as a child”, the North Herts Archaeology Officer has had a busier time than usual this week thanks to the discovery of a 50-metre Bronze Age henge at Stapleton’s Field in Norton. They have been excavating for just a week, but already members of an archaeological team at a Roman town on the outskirts of Norwich have found “huge quantities” of artefacts. A thousand visitors have been to see the dig at Caistor St Edmund in its first week and the excavation, the first inside the walls for 75 years, is uncovering more about how people in the town lived and worked. The volume of writing implements being discovered shows that it was a thriving administrative centre, while the range of remains of animals unearthed makes archaeologists think that animals were being butchered within the town walls. They have been the subject of innumerable romantic books and films, including the forthcoming epic, The Eagle of the Ninth, directed by Kevin Macdonald. But new evidence this week has revealed that life for a soldier in the Roman Ninth Legion had a more mundane side. A newly excavated site near Healam Bridge fort, North Yorkshire, a military outpost used by the Ninth, has shown soldiers there had their own industrial estate nearby to provide them with clothes, pottery and other equipment. The Ninth was formed in 65BC and fought in Hispania and Gaul before taking part in Claudius's invasion of Britain in AD43. The legion then helped maintain the Roman empire's grip of Britain although it suffered a serious defeat during Boudicca's rebellion in AD61. Just after sunrise on a misty spring morning last year, my fellow acoustician at the University of Salford, Bruno Fazenda, and Rupert Till of the University of Huddersfield, UK, could be found wandering around Stonehenge popping balloons. This was not some bizarre pagan ritual. It was a serious attempt to capture the "impulse response" of the ancient southern English stone circle, and with it perhaps start to determine how Stonehenge might have sounded to our ancestors. A COUNTY archaeologist says plans to build ten homes on a medieval site in Teesdale should be refused because there hasn’t been an in-depth study of the land. Raymond Collinson, the owner of Mickleton Engineering, wants to build the properties on the firm’s former site at Belgrave House Yard, in Mickleton. The company has moved to new premises in Middleton-in-Teesdale and its disused Mickleton warehouse would be demolished to make way for the homes. A Durham County Council archaeologist said the site could hold clues to medieval life in the area. A prehistoric man whose naturally mummified body was discovered frozen in the Italian Alps may have been toted up the mountain by his comrades, a new study suggests. The Iceman, also nicknamed Ötzi, lived between 5,350 and 5,100 years ago as part of a genetically distinct European population (SN Online: 10/30/08). Hikers noticed the Iceman poking out of a glacier in 1991. Sprengungsarbeiten beim Steinbruch der Firma Jura Cement in Wildegg (Kanton Aargau) förderten in einem bisher nicht dafür bekannten Gebiet Knochen und Stosszähnereste von Mammuts zu Tage. Nach Sprengungsarbeiten zur Materialgewinnung im Steinbruch der Firma Jura Cement hat der zuständige Sprengmeister Knochenreste, einen Zahn und Elfenbeinbruchstücke entdeckt, die auf Grund der Grösse und Fundlage einen Mammut vermuten liessen. Darüber hinaus waren an der gesprengten Wand noch fünf kreisförmige Strukturen sichtbar, die auf weitere Reste von Stosszähnen hindeuteten. For a century, archeologists have been looking for a gate through a wall built by the Vikings in northern Europe. This summer, it was found. Researchers now believe the extensive barrier was built to protect an important trading route. Their attacks out of nowhere in rapid longboats have led many to call Vikings the inventors of the Blitzkrieg. "Like wild hornets," reads an ancient description, the Vikings would plunder monasteries and entire cities from Ireland to Spain. The fact that the Vikings, who have since found their place as droll comic book characters, were also avid masons is slightly less well known. Greek archaeologists have claimed they have found the palace of Odysseus during excavations on the Ithaca island in the Ionian Sea. On Tuesday, the archaeologist, Thanasis Papadopulos, who has been leading the excavation team on Odysseus' home island for 16 years, said that he knew the right place of the remains since 2006. “We found the ruins of a three-level palace with a staircase carved into the rock,” Papadopulos said, adding that they also found a well, dating back to 13th century BC, when the Trojan War is believed to have taken place. A Bronze Age henge has been discovered on land near Letchworth. Archaeologists have found a circular area about 50 metres wide surrounded by a bank at Stapleton's Field in Norton. North Herts Archaeology Officer, Keith Fitzpatrick-Matthews said: "Henges are quite rare with only 60 known in the UK, so this is a significant find. "It's interesting as the only other henge known locally is on Western Hills, which is visible from the site we are working on." 24 August 410: the date it all went wrong for Rome? Tuesday marks the 1,600th anniversary of one of the turning points of European history - the first sack of Imperial Rome by an army of Visigoths, northern European barbarian tribesmen, led by a general called Alaric. It was the first time in 800 years that Rome had been successfully invaded. The event had reverberations around the Mediterranean. Jerome, an early Christian Church Father, in a letter to a friend from Bethlehem - where he happened to be living - wrote that he burst into tears upon hearing the news. To be held at St William’s College, York on Thursday 7 October. The day will be of interest to diocesan officers and parishes, to heritage and wildlife trusts, local archaeological and amenity groups and to heritage professionals managing such sites. Free but booking vital! GERMAN archaeologists are looking at a new find which could suggest a second temple close to the Temple of Apollo. They have extended their excavations away from Apollon and have discovered a wall which they consider to be part of another temple – maybe that the Temple is for Artemis – the twin of Apollon. Representative of Ministry of Culture and Tourism Ferhan Büyükyörük said: “An illegal dig was done in the area previously, which revealed the remains of a wall. Since 1392 a clock has been chiming and turning in Wells Cathedral in the English county of Somerset. But the world’s oldest continually-working mechanical clock is now going to be electrically powered as its current caretaker announces his retirement. It is believed the clock was built in the 1380s, but the first reference to it comes from 1392-93 when ten shillings was paid to its keeper by the cathedral. The clock features figures of two knights and two Saracens who go around in a circle fighting each other every 15 minutes. It also has a 24-hour dial, which shows both the time and the phases of the moon. THE third phase of the Big Dig at Brading Roman Villa may well have been one of the toughest excavations eminent archaeologist Sir Barry Cunliffe had ever undertaken but it has yielded some treasures and a greater understanding of Brading’s history up to its Roman occupation. With the three-week dig ending yesterday (Friday), Sir Barry’s team has unearthed, over the past two weeks, numerous pottery remains, ranging from pieces of amphorae to a tray for sifting sea water to extract salt. The discovery of a second century BC saucepan became the earliest evidence of occupation on the site, pushing its history back as much as two centuries. Examples of early jewellery were also found, which included an example of a small mid-first century AD brooch inlaid with enamel. By combining meteorology and archaeology, Norwegian scientists may discover old sea routes and mooring sites, and boost our knowledge of maritime culture dating from the ancient period to the end of the Middle Ages. “Archaeology has a long-standing tradition in protecting areas on land. But unfortunately, there is little attention to cultural monuments at the sea-shore and under water,” says meteorologist Marianne Nitter at the University of Stavanger’s Museum of Archaeology. A marble bus of an athlete dating back to the Roman era, has been unearthed in the ancient city of Apollonia, 120 kms from Tirana. A team of French and Albanian archaeologists digging at the scene are studying how Apollonia evolved from a Greek colony founded in the 7th century BC to a Roman settlement in the 3rd century AD. The Roman town at Caistor St Edmund is the subject of a new archaeological dig, which will be featured in a Time Team documentary on Channel 4. It is the first time anybody has dug inside the walls of the settlement, south of Norwich, for 75 years. "What we really hope to discover is how the site started and when it started," said dig leader Dr Will Bowden from the University of Nottingham. The dig starts on 21 August 2010 and is open for public viewing. ONCE, when we all spoke Latin, Micklegate ran as straight as a Roman road should to the only bridge over the River Ouse, somewhere near today’s Guildhall. Since then, it has gone wandering off course and now winds across the slope to end up further downstream at today’s Ouse Bridge. The question is, why doesn’t it go straight to the new bridge site – and what is it avoiding? As history programme presenters go, Dr Alice Roberts is a dream. She's your sweet and a little bit posh mate down the pub, who is so enthusiastic about her work, you can't help but be interested. "We might be a small island, but we've got a big history," she says excitedly, in the opening credits of Digging for Britain (BBC Two, 9pm). Like a teacher to the masses, Alice (and I know she wouldn't mind me calling her Alice) is making archaeology accessible, and pretty much understandable. I think it's her gift of being able to smile and talk at the same time. A cobbled path at a medieval abbey which dates back to 705AD is set to be replaced – because of health and safety fears. Councillors fear that someone could trip on the uneven surface at Sherborne Abbey in Dorset and sue them for compensation. So they are applying for planning permission to spend £30,000 laying a modern, smooth path alongside it. But some locals oppose the plans, claiming the new path will damage the character of the building. ARCHAEOLOGISTS investigating a mass burial of 97 infants were 'horrified' to find what they believe to be the skeleton of a dismembered child. Chiltern Archaeologists suspect the site in Hambleden could have been a Roman brothel – where unwanted babies were systematically killed. Dr Jill Eyers, who lives in Lane End, said the group has discovered cut marks on the bones of one of the babies. Excavations near the antique city of Vindunum (now Le Mans) have revealed a vast religious site dating from the first to the third centuries AD with remarkably well-preserved offerings. Sometimes archaeology requires imagination. And you need it to conjure up the vast complex of temples that stood nearly 2,000 years ago on this flat two-hectare strip of land, in what is now Neuville-sur-Sarthe, 4km to the north of Le Mans. "I have been an archaeologist for 30 years, and I've been lucky enough to work on some wonderful digs. But this is an exceptional discovery, the sort that all archaeologists dream of making once in their lives," said Gérard Guillier, who heads the team from the National Institute of Preventive Archaeological Research (Inrap) that has been poring over this piece of land since June. The team has no time to lose because in the autumn this former Gallo-Roman sanctuary will be transformed into an "urban development zone". The architectural heart of ancient Serdica, the Roman Empire-era predecessor of Bulgaria's capital of Sofia, is emerging amid excavations for the construction of the city metro system. In a couple of years, the finds will become part of an underground museum where visitors will be able to walk in the footsteps of Constantine the Great (272-337 AD), the first Roman emperor to legalise Christianity and adopt it himself. Modern Sofia lies on several archaeological layers left by the Thracians, Romans, Byzantines, medieval Bulgarians and Ottoman Turks. Several pieces of the world's oldest and largest unsolved jigsaw puzzle, a 2,200-year-old map of Rome made of thousands of marble fragments, could be unearthed next year following construction work for a new metro line near Rome's majestic forum area. Carved into marble slabs around 210 A.D., during the rule of the emperor Septimius Severus, the map was originally hung on a wall in the Templum Pacis (Temple of Peace), which stood in the middle of an enclosure called Forum of Peace. For 70 years, archaeologists have tried to unravel the secrets of one of the most remarkable Roman villas discovered in Britain. The Lullingstone villa was uncovered in 1939 when a tree was blown down by high winds. Over the years, archaeologists found one of the first Christian chapels in Britain, the graves of a man and a woman, a pair of unique floor mosaics and two marble busts. The owner of the villa in Kent has finally been identified as a former Emperor of Rome. Did Boudica live near Norwich? Archaeologists are set to unearth further secrets of a Roman town on the outskirts of Norwich - and are hoping to discover evidence linking the settlemt to East Anglia's Iceni queen Boudica. Channel 4's Time Team will be filming the excavations at Caistor St Edmund, which are the first within the Roman walls of the site for 75 years. The Roman town of Venta Icenorum lies beneath the fields at the site but historians believe it might have been built on top of a previous Iceni settlement - perhaps even the home of the warrior queen Boudica. The most robust statistical examination to date of our species' genetic links to "mitochondrial Eve" -- the maternal ancestor of all living humans -- confirms that she lived about 200,000 years ago. The Rice University study was based on a side-by-side comparison of 10 human genetic models that each aim to determine when Eve lived using a very different set of assumptions about the way humans migrated, expanded and spread across Earth. The research is available online in the journal Theoretical Population Biology. "Our findings underscore the importance of taking into account the random nature of population processes like growth and extinction," said study co-author Marek Kimmel, professor of statistics at Rice. "Classical, deterministic models, including several that have previously been applied to the dating of mitochondrial Eve, do not fully account for these random processes." The only surviving Byzantine monastic complex from 9th-century Constantinople has been uncovered in the Küçükyalı Arkeopark, located on the Anatolian side of Istanbul, the Italian head of the excavation team said Thursday. “People started out thinking this was a 9th-century Islamic place. When I started doing research here, it became clear that this identification had no good grounding,” said team leader Alessandra Ricci, who noted that some travelers’ accounts dating from the early 19th century mentioned the existence of a Byzantine monastery in the area. Revellers at an historic Essex house are finally holding a birthday party after being made to wait five years by scientists who used tree ringing to postpone their celebrations. Organisers at Paycocke’s House (above) in Coggeshall, near Colchester, held a premature 500th birthday bash for the Medieval house in 2005, but they will finally get to celebrate the real thing this Bank Holiday weekend (August 28-30 2010). “We had some paper records that told us Paycocke’s would turn 500 in 2005 so we had a good old celebration back then,” explains House Custodian Natalie Simpson. Western Europe's massive prehistoric tombs were built in a burst of activity over a few centuries around 4000 BC, suggests dating evidence, rather than continuously throughout the Stone Age. In the current European Journal of Archaeology, archaeologist Chris Scarre of the United Kingdom's Durham University, looks at the latest dating of "megalithic" prehistoric tombs stretching from Sweden to Spain. The mound-shaped burial sites are better known as "barrows" in Great Britain, or "passage tombs" for their intersecting halls of corbel stones. "It trivializes the tombs to call it a fad, but building such structures seems to have become a fashion where great numbers were built and then there was a cessation for centuries," Scarre says, in an interview. Improved dating of materials such as birch bark, bone and stone left in the tombs now reveals the clustered construction times of the mounds, he says. Archaeologists from Cardiff University have made a major new discovery that will change the way we think about how Britain was conquered and occupied by the Roman army almost 2,000 years ago. A complex of monumental buildings has been located outside the Roman fortress at Caerleon in South Wales, which is likely to lead to a complete rethink of one of the country’s most important Roman sites. The discovery was fortuitous - students from the School of History, Archaeology and Religion were learning how to use geophysical equipment in fields outside the fortress that were not thought to have been extensively occupied in the Roman period. 10 days later, the students and their tutors had revealed the outlines of a series of huge buildings squeezed into the ground between the amphitheatre and the River Usk. A gold ring once worn by a Viking was unearthed by a metal detector in a farmer's field in Yorkshire, a treasure trove inquest in Wakefield heard yesterday. Dating back around 1,000 years, the large gold ring was found last April on pasture land in the Aberford area, east of Leeds. The finger ring, which is 90 per cent gold, was found by a man scouring the land with a metal detector with the permission of the landowner. Our ancestors were carving meat some 800,000 years earlier than previously thought. Marks on fossilised animal bones found in Ethiopia indicate that early-human butchers were using stone tools as early as 3.4 million years ago. Shannon McPherron of the Max Planck Institute for Evolutionary Anthropology in Leipzig, Germany, and colleagues say the find is evidence that Australopithecus afarensis – the only known hominin species present in the region at the time – used tools. The finds suggest that the evolution of toolmaking and meat-eating among our human ancestors is more complex than existing theories admit. They also add to a growing body of evidence that A. afarensis may have been more human-like and less primitive than some have assumed. One of the marvels of modern science is the ability of analysts to measure very small amounts, and very small differences. Isotope ratios are all about detecting differences: — between what we might expect, and what we find. Those tiny differences can tell us plenty about the recent or distant past. So, what is an isotope ratio? Archaeologists at the University of Edinburgh are hoping to uncover the scene of a historical unsolved crime. Work has begun to unearth remnants of buildings which became infamous for the murder of the second husband of Mary Queen of Scots, Lord Darnley. 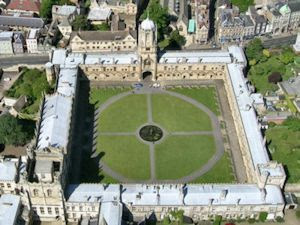 The remains of the buildings have been buried beneath Old College for more than 200 years. Archaeologists working on Stone Age remains at a site in North Yorkshire say it contains Britain's earliest surviving house. The team from the Universities of Manchester and York reveal today that the home dates to at least 8,500 BC - when Britain was part of continental Europe. The research has been made possible by a grant from the Natural Environment Research Council, early excavation funding from the British Academy, and from English Heritage who are about to schedule the site as a National Monument . The Vale of Pickering Research Trust has also provided support for the excavation works. The research team unearthed the 3.5 metres circular structure next to an ancient lake at Star Carr, near Scarborough, a site comparable in archaeological importance to Stonehenge. Scientists had assumed the pectoral fins in fish and the forelimbs (arms and hands) in humans are innervated -- or receive nerves -- from the exact same neurons. After all, the fins on fish and the arms on humans seem to be in the same place on the body. Not so. Small-brained human ancestors used stone tools to whack into large mammals some 800,000 years earlier than previously thought. Fossilized bones scarred by hack marks reveal that our human ancestors were using stone tools and eating meat from large mammals nearly a million years earlier than previously thought, according to a new study that pushes back both of these human activities to roughly 3.4 million years ago. The first known human ancestor tool wielder and meat lover was Australopithecus afarensis, according to the study, published in the latest issue of Nature. This species, whose most famous representative is the skeleton "Lucy," was slender, toothy and small-brained. A linguistic mystery has arisen surrounding symbol-inscribed stones in Scotland that predate the formation of the country itself. The stones are believed to have been carved by members of an ancient people known as the Picts, who thrived in what is now Scotland from the 4th to the 9th Centuries. These symbols, researchers say, are probably "words" rather than images. Archaeologists have discovered several large buildings at the fortress of Caerleon in south Wales, one of Britain's best known Roman sites. The major discovery was made by chance by students learning to use geophysical equipment. Cardiff University's Peter Guest said the find was "totally unexpected" . It is possible the buildings, which may include baths and temples, are first evidence of Roman plans to develop Caerleon into a major settlement. Most of us do it every day without even thinking about it, yet talking is a uniquely human ability. Not only do humans have evolved brains that process and produce language and syntax, but we also can make a range of sounds and tones that we use to form hundreds of thousands of words. To make these sounds — and talk — humans use the same basic apparatus that chimps have: lungs, throat, voice box, tongue and lips. But we're the ones singing opera and talking on the phone. That is because over thousands of years, humans have evolved a longer throat and smaller mouth better suited for shaping sound. More evidence that The Flintstones didn't tell us the whole story about cavemen. Our prehuman ancestors cannibalized one another for the "nutritional value" starting about a million years ago, finds an analysis of bones left in a Spanish cave. In the journal Current Anthropology, a team led by archaeologist Eudald Carbonell of Spain's University of Rovira and Virgili, report fossil evidence of continuous cannibalism - cut marks and butchering remains - as a way of life among the Homo antecessor inhabitants of the Atapuerca Mountains archeological site. Deceptively spacious - many original features - but in need of some modernisation. Archaeologists have discovered what they believe is Britain's oldest house - constructed in the Stone Age, some 11,000 years ago. The circular residence - measuring just three and a half metres across - was discovered at one of the country's most important prehistoric sites, Star Carr in North Yorkshire. Other finds there, including animal skulls, and antler headdresses suggest the area could have been used for ceremonial rituals. The ancestors of early humans used stone tools to butcher animal carcasses nearly 1m years earlier than previously thought. Archaeologists revised the date after spotting distinctive cut and crush marks made by stone tools on animal bones dating to 3.4m years ago. The remains, including a rib from a cow-like creature and a thigh bone from an animal the size of a goat, were recovered from riverbed sediments in Dikika in the Afar region of northern Ethiopia during an expedition last January. Archaeologists believe a set of 114-year-old stones found in a sleepy Yorkshire Dales village may have been used as a furnace in a mass Medieval bakery. The Hartlington Stones, which were discovered in 1896 on a village green near Burnsall, were thought to have been used as part of a corn drying kiln, an important agricultural device used in the Medieval and post-Medieval periods to ripen corn for harvesting or dry crops before they were ground into flour. Investigators were forced to revisit the stones after experts from the National Park Authority found clear differences between their appearance and the formation of another kiln in nearby Kilnsey. Long dismissed as accidental additions to Viking graves, prehistoric "thunderstones"—fist-size stone tools resembling the Norse god Thor's hammerhead—were actually purposely placed as good-luck talismans, archaeologists say. Using fire-starting rock such as flint, Stone Age people originally created the stones to serve as axes. But the Vikings, whose Iron Age heyday lasted from about A.D. 800 to 1050, saw the primitive tools as lightning repellent. Because the axes predate the Viking age by thousands of years, archaeologists have long seen the stones as random artifacts, perhaps stirred up from earlier, lower burials or dropped in centuries after the Viking era. Archaeologists have found Britain's earliest house - constructed by Stone Age tribesmen around 11,000 years ago. The discovery is likely to change the way archaeologists view that early period. Just 3.5 metres in diameter, the circular post-built house pre-dates other Stone Age buildings in the UK by up to a thousand years. Located at one of Britain's most important prehistoric archaeological sites, Star Carr in North Yorkshire, the newly discovered building may have been home to a Stone Age hunter - or conceivably even a prehistoric priest or shaman. Ongoing excavations at the Heraion-Teikhos ancient city in the western province of Tekirdağ have unearthed a temple at the city's acropolis. The temple, belonging to the ancient Thracian civilization, was thought to have disappeared in a fire that occurred in 2 BC. The continuing work at the temple has revealed many interesting artworks thus far, the excavation chairwoman says. Many important pieces of art have reportedly been unearthed in the northwestern province of Tekirdağ in a temple previously thought to have been destroyed in a fire in 2 B.C. The ongoing excavations in the pantheon of the ancient city of Heraion-Teikhos in Tekirdağ’s Karaevlialtı district started this year at the beginning of August, according to the excavation chairwoman, Professor Neşe Atik from Ahi Evran University’s archaeology department. THE village of Caerleon on the River Usk could have been the grand main base of the British Roman empire, groundbreaking discoveries have suggested. A team of students has stumbled upon a huge area of ancient buildings, unique in terms of their massive scale and non-military function. They were located in fields outside the Roman fortress at Caerleon, north of Newport, which is likely to lead to a complete rethink of one of the country’s most important Roman sites, as well as the way we think about how Britain was conquered and occupied by the Roman Army almost 2,000 years ago. ARCHAEOLOGISTS yesterday unearthed the first Saxon building found in Wales, and said it may have been the ancient palace of a prince. A team from Cambrian Archaeological Projects have started a month-long excavation on what appears to be a fifth-century Saxon palace or timber hall on farmland close to Offa’s Dyke at Forden, near Welshpool. Bulldozers have stripped off the top soil at the Gaer Farm site and revealed evidence of what experts claim is the first of its kind in Wales. A LOST Roman city was uncovered in Newport yesterday, as researchers from Cardiff University found a huge complex of buildings in Caerleon. The find is described as being of international importance, and is set to change the way experts think about Britain's Roman history. WORK on a gas main yesterday uncovered evidence of a Roman fort in Monmouth, older than its Caerleon counterpart and capable of holding 2,000 troops. Steve Clarke of Monmouth Archaeology found evidence of a Roman fort in Monmouth, including hundreds of items including pottery and bones which confirms a fort, believed to be the oldest in Wales, existed in AD55. The find provides further evidence a fort covered most of the town centre. Mr Clarke, 68, said: "We can now say it’s 25 years older than the Caerleon Fort and there were around 2,000 troops here." IT’S not every day you report on a significant archaeological find. So imagine our surprise when today we tell of two discoveries of huge importance in Gwent. The first - described as of international importance - is at Caerleon, an area that is obviously no stranger to historic finds. This documentary chronicles the discovery of an ancient Armenian city built by Tigran the Great (140-55 BC) in the First Century BC. Founded as the new capital of the Armenian Empire with the intention of securing a central position inside the borders of the growing empire, it was built on territory traditionally Armenian but claimed today by both Armenia and Azerbaijan. Under the rule of Tigran the Great, the Armenian Empire extended from the Caspian Sea to the Mediterranean and became, for a short time, the strongest state east of the Roman Empire. A piece of obsidian (volcanic glass) dating back 4,000 years and believed to have been used as a scalpel for surgery has been unearthed during excavations carried out in the Black Sea province of Samsun. Speaking to the Anatolia news agency, Professor Önder Bilgi, the chairman of the excavations, said that the work in the ruins of the İkiztepe village in Samsun’s Bafra district had begun in 1974. The Tourism and Culture Ministry started a research investigation into an illegal excavation which took place in the Zeus Karios area in Milas, Bodrum. The illegal excavation revealed the large tomb stone of King Hekataios. The tomb stone was made in 390 B.C. and it is said that the discovery is one of the most important archeological discovery in modern times. A circle of stones in the Yorkshire Dales first discovered in 1896 have been uncovered again. Archaeologists, in Hartlington near Burnsall, have been trying to establish fresh theories as to what the stones were. Initially it had been thought they might have formed the floor of a corn drying kiln. SKELLIG MICHAEL’S settlement history may be “far more complex” than previously thought, according to a Connemara archaeologist who has discovered several additional stairways on the Kerry rock. The previously unidentified sets of steps were discovered recently by archaeologist Michael Gibbons on the northern and southern flanks of Skellig Michael, a Unesco world heritage site. ENVIRONMENTAL campaigners want the "full weight of the law" to be brought to bear following the destruction of two ancient ring forts. Friends of the Irish Environment have written to Environment Minister John Gormley calling for prosecutions to follow the recent destruction of two north Cork ring forts -- fortified settlements with raised walls of stone or banks of earth. The demolished ring forts were located in the townland of Knockacareagh, near Killmurray in north Cork. Within 20 years of the Norman conquest, England was dominated by "a new class of super rich Frenchmen gorging on their success". So said an academic who has used the Domesday Book to trace the rise and rise of William the Conqueror's barons. Stephen Baxter, a historian at King's College London, is one of the authors of a database, which goes live tomorrow, making it possible to trawl through figures from the Domesday Book and map the landholdings of those for whom 1066 became a licence to coin money. To take one example, Earl Hugh's estates, more than 300 scattered across 19 shires, generated an income of about £800 a year, over 1% of the nation's entire wealth. "Hugh was an Abramovich-scale billionaire," said Baxter, who presents a programme on Domesday tomorrow on BBC2 in the Normans series. Evidence of ruthless land clearance by Norman knights has been found in Lincoln. Archaeologists working in the castle grounds have discovered remains of Anglo-Saxon houses. When William the Conqueror decided to build a castle inside the old Roman fort, he swept away 166 homes - more than 10% of the existing town. It is cramped, draughty and unlikely to win any design awards. But according to archaeologists, this wooden hut is one of the most important buildings ever created in Britain. The newly discovered circular structure is the UK's oldest known home. Built more than 6,000 years before Stonehenge, it provided shelter from the icy winds and storms that battered the nomadic hunters roaming Britain at the end of the last Ice Age. ARCHAEOLOGISTS at the University of Chester have embarked on an excavation to unlock the mysteries of an ancient and iconic Welsh burial site. Alongside fellow specialists from Bangor University, a team of experts from the History and Archaeology Department is excavating the mound at the famous ninth-century Pillar of Eliseg, near Valle Crucis Abbey, Llangollen. Named Project Eliseg, the venture aims to establish whether the site dates back to the Bronze Age and will use modern archaeological methods to investigate the mound on which the pillar stands and its setting. DIGGERS at Brading Roman Villa have gone potty over a double discovery made during the opening few days of Big Dig 3. A rare first century Vectis cooking pot and a copper coin, believed to be from the first or second century, were found to mark a successful start to the three-week dig. The pot would have been for everyday use and it was made from Isle of Wight clay. The coin is believed to be a Roman 'As’ with an image of a goddess on the front and it will be sent to the British Museum for formal identification. A royal tomb in an Etruscan necropolis in central Italy has yielded fresh archaeological finds during a summer dig, researchers say. Tarquinia, one of the richest Etruscan sites in the Lazio region of Italy, is home to dozens of tombs, but researchers were only recently given permission to excavate the "Queen's Tomb" in detail, ANSA reported. Dating to the mid-seventh century B.C., the crypt is thought to have been a royal burial site although no remains have ever been found. Britain's Prehistoric Funerals - Six Feet Under, or a Bronze Age Mound? You might never have heard of Irthlingborough, in Northamptonshire, but an excavation there in the 1980s revealed some pretty spectacular archaeology, as explained in the first of a series of HKTV videos (Watch the Video). The archaeologists found a round burial mound with cremations buried in the sides. Below the cremation burials, there was a lattice of rotted cattle bones, which had been placed on the top of a heaped stone cairn. Below the cairn was a wooden platform that had now collapsed, and below the platform, at the heart of the mound, was a chamber, with a man’s body inside. AN ARCHAEOLOGICAL survey has revealed new evidence of a Romano-British settlement in Papcastle and Cockermouth. A six-week survey of land alongside the River Derwent was carried out by Grampus Heritage after the floods revealed bits of Roman pottery. The survey started in June and was funded by Bassenthwaite Reflections. Project manager Mark Graham said the geophysical survey had revealed that the settlement was much larger than previously thought and had unveiled one on the south side of the river which includes buildings, a road, ditched enclosure and an iron working site. SEVEN hundred years of history have been uncovered beneath a disused car park in a South Yorkshire town. Ghosts from the medieval past of Bawtry, near Doncaster, have been freed from just 4ft under the asphalt after an archaeological dig unearthed a dozen intact skeletons. Experts from Sheffield University have spent weeks at the site off Tickhill Road and now hope to learn more from the remains about the history of what is believed to have been a medieval hospital burial ground. Anthropologists have unearthed the remains of an apparent Neanderthal cave sleeping chamber, complete with a hearth and nearby grass beds that might have once been covered with animal fur. Neanderthals inhabited the cozy Late Pleistocene room, located within Esquilleu Cave in Cantabria, Spain, anywhere between 53,000 to 39,000 years ago, according to a Journal of Archaeological Science paper concerning the discovery. A west Cumbrian community stricken by last year’s floods is coming together to explore significant Roman remains unearthed as river torrents receded. Early investigations alongside the River Derwent at Papcastle, near Cockermouth, have revealed signs of an important settlement, possibly dating back to the second century. One of them includes a possible amphitheatre. The Visigothic sack of Rome in 410 A.D. has traditionally played a crucial role in narratives of the decline and fall of the Roman Empire. From Augustine and Orosius to the modern age the sack has left an indelible mark in Western intellectual history, as a symbol of the decline of the Eternal City. However, scholars have recently revised the importance and magnitude of the sack, playing down its impact on the city of Rome and in late imperial history in general. At the same time, late antique history and archaeology have experienced important developments, and our knowledge of the city of Rome in the 5th century has been greatly expanded. Bulgarian archaeologists have explored further a Late Antiquity fortress located near the town of Byala on the St. Atanas Cape on Bulgaria's Black Sea coast that they found last year. The team of archaeologists from the Varna Archaelogy Museum led by Prof. Dr. Valeri Yotov has uncovered a number of new details of the early Byzantine fortress, including what is believe to be the discovery an ancient winery. The “winery” consisted of two stone buildings connected with an wooden passage. One of the buildings was filled up with grapes, which was then pressed with large rectangular stones. Pohansko, South Moravia, Aug 4 (CTK) - Czech archaeologists have unexpectedly found the remains of a Great Moravian rotunda in the Pohansko settlement, Jiri Machacek, archaeology professor from Masaryk University in Brno, said Wednesday. This has been the first Great Moravia church discovered after 30 years in the Czech Republic. The first remains of the church were found two years ago, however, later on it was revealed that the stone building had a circular shape six meters in diameter and therefore was a rotunda. Archaeologists from North America and the UK have been excavating an early Medieval site in the Isle of Man. The team, along with local volunteers, is investigating Port y Candas, near the Ballacraine crossroads. Archaeologist Harold Mytum said the site was of "international importance" as it is one of the few pre-Viking settlements known on the island. A Danish archeologist shot dead a polar bear that attacked and severely clawed his colleague during a dig in Greenland, the museum that employs them said Wednesday. Bjarne Groennov killed the animal after it threw fellow expert Jens Fog Jensen to the ground in the incident on Saturday, said the National Museum of Denmark. "It was a shocking experience but in such a situation we are just glad to get out alive and more or less unharmed," Jensen was quoted by the museum as saying on his return to Denmark after treatment in Iceland. Im Nordwesten Rumäniens entdeckten Forscher bereits Ende des 19. Jahrhunderts ein großes Hügelgräberfeld der späten Bronzezeit (ca. 1300 bis 1100 v. Chr. ), die sogenannte Tumulusnekropole von Lăpuş. Doch erst eine Grabung im Rahmen eines internationalen Projekts der Ludwig-Maximilians-Universität (LMU) München widmete sich intensiv einem vermeintlichem Grabhügel, der sich jedoch rasch als eine mehrphasige, längsovale Baustruktur entpuppte. Zwei Kultbauten konnte ein Forscherteam um Professor Carola Metzner-Nebelsick, Lehrstuhl für Vor- und Frühgeschichte, identifizieren. In den Details ihrer Form und Bauweise sind beide bislang einmalig im bronzezeitlichen Europa, so die Archäologin. Im August 2010 startet Sie erneut eine Kampagne, um insbesondere den jüngeren Kultbau weiter auszugraben und zu erfassen. Die Forscherin verspricht sich zusätzliche Informationen über die zeitliche Einordnung der dort praktizierten Rituale. Excavation work has finally come to an end at prehistoric site, Marden Henge near Devizes. It was the first investigation of the site since 1969. Marden Henge no longer has any standing stones and is said to be one of Britain's least understood ancient sites. Bulgaria’s Diaspora Minister and renowned historian Bozhidar Dimitrov has entered into an exchange of insults with perhaps the most famous Bulgarian archaeologist Nikolay Ovcharov over the recent discovery of the relics of St. John the Baptist in Sozopol. The fight broke out over Dimitrov’s statement from Tuesday published in a Sofia daily newspaper in which he slammed certain archaeologists for being envious of Prof. Kazimir Popkonstantinov, the man who found the relics of St. John the Baptist, and for criticizing Popkonstantinov and Dimitrov himself for celebrating the discovery before carrying out the proper tests. LACK of activity at Chester Cathedral’s archaeological dig has been explained by officials at the historic building. The cathedral has scotched rumours there have been funding issues with the company which conducted the excavation. The archaeological dig has been taking place to help inform the design of a proposed visitor entrance in front of the existing south west transept door although funding for the project is now in jeopardy. A RARE find has been uncovered from the shores of the River Thames near the Tower of London. The clay medieval roof finial or decoration was discovered last week by a mudlark, who was helping survey the foreshore of the river by the Tower of London. It gives an insight into the building materials used in London by our twelfth and thirteenth century forefathers. Archaeologists revealed today that they have discovered the first evidence in the UK of stonework painted with a pattern, suggesting Neolithic people enjoyed decorating. It comes a week after the researchers, working at the Brodgar peninsula on Orkney, found plain painted stones thought to be around 5,000 years old at the spot. The site, described as a possible Neolithic temple precinct, is between the Stones of Stenness and the Ring of Brodgar. The free entry policy that has boosted attendance at national museums could be having an adverse effect on smaller attractions. Rhys Prytherch, who is involved with two small museums in Caernarfon, says they're suffering from the public's assumption that all museums should be free. Segontium Roman Fort and Caernarfon Maritime Museum depend on admission charges and grants from the town council and they are struggling to stay open. A rare find has been uncovered from the shores of the Thames by the Museum of London. A clay medieval roof finial was discovered a week ago by a mudlark, who was helping survey the foreshore of the river by the Tower of London, and reported to the Portable Antiquities Scheme. This fascinating object offers a glimpse of what the city could have looked like over 600 years ago. The roof finial is worn and in shape of an animal, dating from the late 12th Century or 13th Century. An object like this would have been used to embellish the ridges of tiled roof buildings in London and other large towns. This particular example was probably made around Woolwich and brought to the city with other pots and roof tiles. Archaeologists revealed yesterday that they have discovered the first evidence in the UK of stonework painted with a pattern, suggesting Neolithic people enjoyed decorating. ACADEMICS in Yorkshire have given a voice and a face to a man who died more about 4,000 years ago. Using state-of-the-art computer programme and forensic techniques, scientists have reconstructed the face of the Gristhorpe Man. The skeleton of the Bronze Age man, thought to be a warrior chief, was discovered in Gristhorpe, near Filey, in 1834, and boiled in horse glue to preserve it. Norman names such as William, Henry and Alice have been popular for 1,000 years. Why did the English copy their invaders? The date 1066. William the Conqueror. King Harold with the arrow in his eye. Soldiers in those nose-protector helmets. But many people will struggle to come up with more than these sketchy facts about how the Normans invaded England and overthrew the Anglo-Saxons on one bloody day almost a millennium ago. WALKERS from across the country joined the annual St Olav Wirral Viking Walk from Neston to Chester. The 13-mile trek started out from the historic St Mary’s and St Helen’s church, in Neston, which is famous for its Viking burial stone and finished at St Olav’s church in Chester. The pilgrimage is held each year to commemorate St Olav, the “Viking Saint” and patron saint of Scandinavia, and to celebrate Wirral’s links with the Vikings. A MEDIEVAL cross discovered chiselled into a farm wall in Fife could be 13th century holy graffiti, experts have claimed. The cross is thought to have been left by a pilgrim on his way to Dunfermline Abbey, around half a mile from where it was found. Experts are unsure exactly why the cross was made on the stone, which was later used to build the wall, but they believe it may have been put there to mark a pilgrim's journey to visit the tomb of Saint Margaret, who was buried at the abbey in 1093. The BBC is to provide viewers with a definitive look at a seminal period of history, the resonances of which can still be felt today, in a season focusing on the Normans across BBC Two, BBC Four and BBC Learning. Leading the season will be The Normans, a three-part series on BBC Two that will examine the extraordinary expansion and unchecked ambition of this warrior race between the 10th and 13th centuries. The first part airs on Wednesday 4 August at 9pm. ARCHAEOLOGISTS are knee-deep at Lincoln Castle, unearthing evidence of a centuries-old prison buried deep underground. The dig follows a geophysical survey carried out a few years ago when geophysicists used a resistivity meter and fluxgate gradiometer in an attempt to detect any buried walls or objects. The investigation uncovered anomalies that archaeologists at the castle are now excavating. TOURS, talks, workshops and a medieval knight will be among the free attractions during East Lothian Archaeology and Local History Fortnight. This year, the annual East Lothian Archaeology Week has grown into a fortnight of free archaeology and local history events taking place across the county in September. The event will include guided tours of the 17th century Kirk at Kirk Ports in North Berwick and the monumental remains of the 16th century fort at Dunglass, as well as a guided tour with a real Douglas knight at Tantallon Castle. Headland Archaeology (UK) Limited will carry out archaeological investigations on the land earmarked for the Forth Replacement Crossing (FRC). The Edinburgh-based company has been appointed by Transport Scotland. The investigations will include geophysical survey, trial trenches and hand excavation in an effort to unearth objects of historical interest. Bulgarian media has reported that the excavations at St Ivan island off the Bulgarian coast have unearthed relics belonging to Saint John the Baptist. 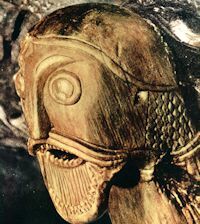 The discoveries were announced on August 1 2010 following the excavation on the island near the seaside town of Sozopol. Last week it was reported that excavations on St Ivan island, the largest of five Bulgarian islands in the Black Sea, discovered artefacts and exquisite marble reliquary incorporated into the church’s altar, the historian Bozhidar Dimitrov, director of the National History Museum and minister without portfolio in charge of Bulgarians abroad, told Focus news agency.